Pitkin County officials did a community outreach effort this year to gauge community sentiment about possible changes and improvements to the Aspen-Pitkin County Airport. Here’s a sampling of the 81 statements submitted by residents who live inside and outside the county. Relocating a stretch of Owl Creek Road and acquiring a small swath of Burlingame Ranch land are among the many steps that could be needed for an airport expansion to take place. Pitkin County commissioners, at a work session Tuesday, showed their early support for a layout plan for Aspen-Pitkin County Airport. They went with Alternative 8A, the plan suggested by County Manager Jon Peacock and consultant JD Ingram, of Denver-based Jviation, and among more than one dozen options on the table. 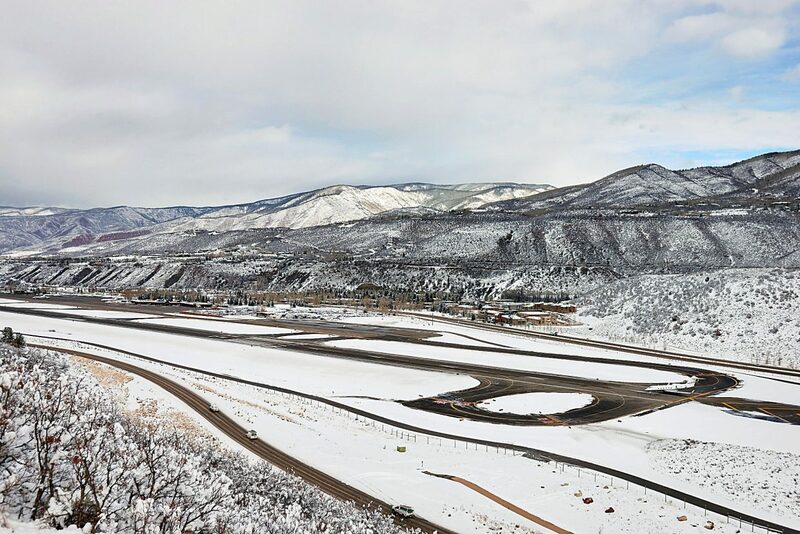 Alternative 8A carries an estimated cost of $132 million, of which 90 percent would be funded by the Federal Aviation Administration, and the rest from the aeronautics division of the Colorado Department of Transportation and the Aspen-Pitkin County Airport Enterprise Fund. Peacock said he was confident that the county’s general fund wouldn’t be tapped for the upgrade, which would support regional aircraft in the future and call for 400 feet of separation space between the runways. The new runway would shift 80 feet to the west and be 150 feet wide, Ingram said. It also would require the relocation of about 2,500 feet of Owl Creek Road and the county’s purchase of 1 to 3 acres of Burlingame Ranch, which is owned by the city of Aspen. Peacock said it’s possible the land purchase would require a public vote. Alternative 8A still awaits a public hearing and formal vote by the commissioners sometime next year. Tuesday’s initial approval marked the latest development in a series of airport studies launched by the county as it researches ways to upgrade the facility. Peacock and other county officials led rounds of community outreach discussions about the alternatives for the airport, and they collected feedback from residents as well. The clock is ticking on the airport so it can accommodate a new generation of commercial aircraft, whatever they might be — 737s are a possibility, as are a host of other models. But meeting wingspan restrictions isn’t the deal breaker for what aircraft can serve Aspen’s airport; the aircraft also must demonstrate that they have the operating capacity to fly in and out of Sardy Field, Peacock noted. Currently, 95 percent of the airport’s commercial flights are served by the CRJ700 regional jets, which are made by Bombardier. Airport officials and consultants have cautioned that the aircraft will be retired starting in 2018, with the entire generation expected to be grounded by 2025. That means that the airport must be upgraded and improved in order to meet Federal Aviation Administration guidelines to accommodate larger aircraft with wingspans up to 118 feet. The airport, as it currently is, has wingspan limitations of 95 feet. However, Peacock stressed that a public vote for the acquisition of land and the common worries about the size of the airport and its amenities don’t hold much stock until an environmental assessment is completed. But the commissioners getting onboard with a layout plan is the next vital step, he said. The environmental assessment would take 18-25 months and would review a number of potential impacts on the airport, from noise, safety, socioeconomic concerns, environmental effects and other possible consequences. And while it appears county commissioners will formally approve Alternative 8A, there’s still the chance that it wouldn’t meet regulatory hurdles. If that’s the case, the county would go back to other options or come up with a new one.